TSC Music - Experience the new way of hearing is an app to help you enjoy music better but to also protect your hearing. 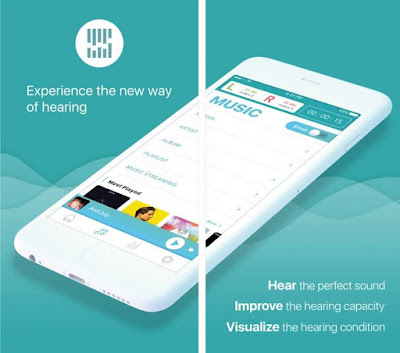 This app works on the technology “Threshold Sound Conditioning” to provide you the healthy hearing options for your favorite music. The active graphics sections will show you graphs to give you a quick run-down of how often you used the app to listen to music. The neat thing about the app is that you can test your hearing as often as you like, so you can see whom it has improved or gotten worse. When you first download the app, you will need to setup an account. After you do that and log in you will need to personalize your sound experience. You will begin by testing and setting five different frequencies for each ear. Next, you will listen to SoundCloud or You Tube video to finalize the optimization. After you calibrate the hearing levels, then it is time to get down! In the music section, you can search for any song or video you have on your device. You can search by song, artist, album, genre, and playlists. When you play a song or video, you can turn on/off the Active EQ. The Active EQ makes a significant difference in the sound, which is the whole reason you use the app. If you are a heavy music listener, you should try this app and hear the difference. 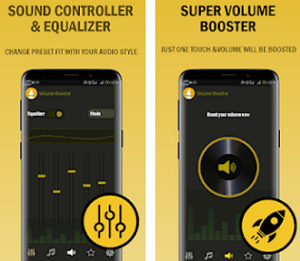 To enjoy putting on your ear buds and listening to some good music download today this app for your iOS devices and the best part of the improve sound quality app is that it is free to download. 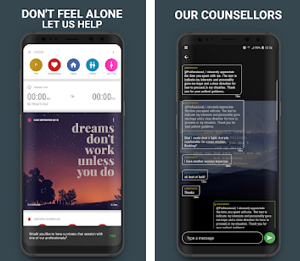 Direct download link to this worthy app is present at the end.